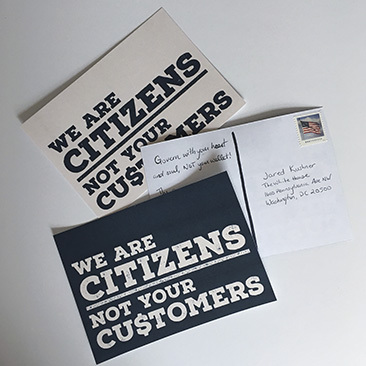 Download and send this postcard to everyone you know who needs a reminder that we are citizens and not customers. 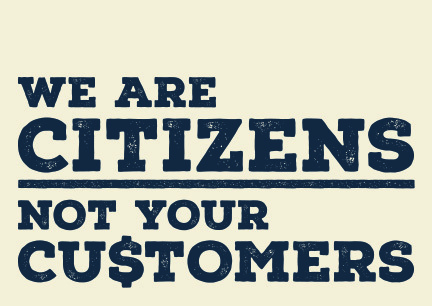 The government needs to take care of people, not make money off of us. 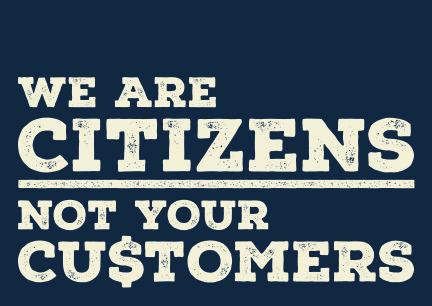 Demand more from your representatives.